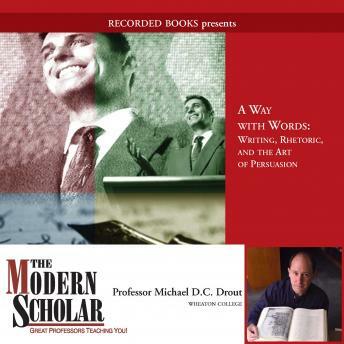 In A Way with Words: Writing, Rhetoric, and the Art of Persuasion, esteemed professor Michael D.C. Drout brings his expertise in literary studies to the subject of rhetoric. From history-altering political speeches to friendly debates at cocktail parties, rhetoric holds the power to change opinions, spark new thoughts, and ultimately change the world. Professor Drout examines the types of rhetoric and their effects, the structure of effective arguments, and how subtleties of language can be employed to engage in more successful rhetoric.